# Currently 19% of the typical household’s electricity bill is due to Australia’s carbon tax and other "green" programs such as a renewable energy mandate. # Because Australia's exports are relatively emissions intensive, the practical result of the Australian carbon tax serves as a tax on exports and import-competing industries. # Due to fiscal gaps that exist between carbon tax revenues and increased government spending that accompanied the scheme, Australia's budget bottom line will worsen as higher deficits and greater public debt increase. Tomorrow is voting day, and while similar to how it is done in the U.S. there are some differences. 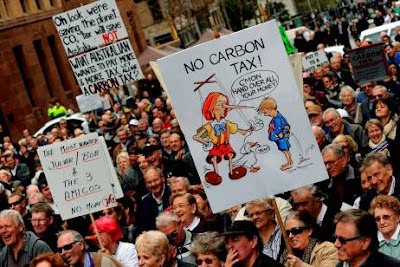 Opposition Leader Tony Abbott is quite likely to become the next Prime Minister, and within days of his election, if that happens, he has promised that the first thing his new Government will do is to begin to repeal the Carbon Tax/ETS. 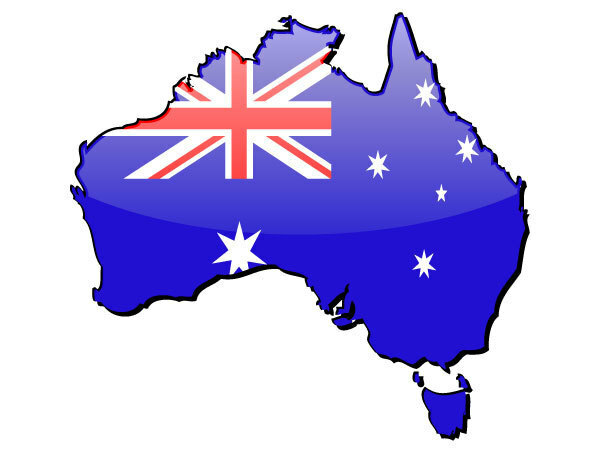 While (naturally) both sides have a degree of confidence about the outcome, all indicators are pointing to a very comfortable win for Tony Abbott, who leads the Liberal National Party, and while liberal means one thing in the U.S. here in Australia it means the other, as the Liberal Party is the major political party from the Conservative side of politics. In the lead up to the last election in 2010, I wrote a Post for the site I contribute to to explain some of these differences, and while it might have been for the last election, it is still current as it is generic and just explains the process. That post is at the following link, and just copy and paste this link into your address bar of a new tab, and the Post will open. The dominoes that intricately hold up this climate change/global warming hoax are gradually beginning to crumble, and tomorrow, Saturday our time here in Australia, we begin to roll back some of that onerous legislation. "...the Liberal Party is the major political party from the Conservative side of politics." Things really are upside down down under. The Left (Socialist) Labor party was defeated in the worst poll ever, but due to our stupid preferential voting system we have lots of nutters and crazies in the Senate now. It will be interesting to how it develops, keeping in mind we have had 6 years of universities, colleges and schools brainwashing for 2 generations.